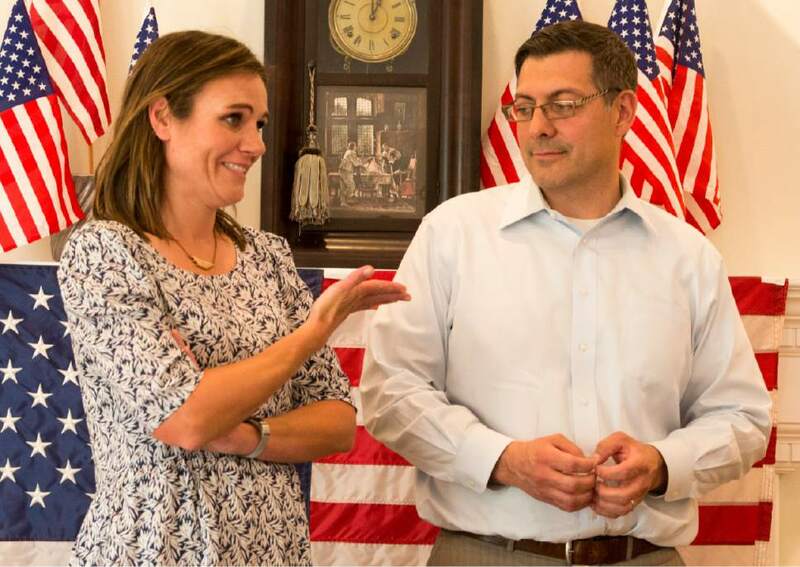 3rd District • Stewart Peay, her niece's husband, hopes to replace outgoing Rep. Jason Chaffetz. Rick Egan | The Salt Lake Tribune Ann Romney speaks at a campaign event for 3rd District candidate Stewart Peay. in Cedar Hills, Wednesday, June 7, 2017. 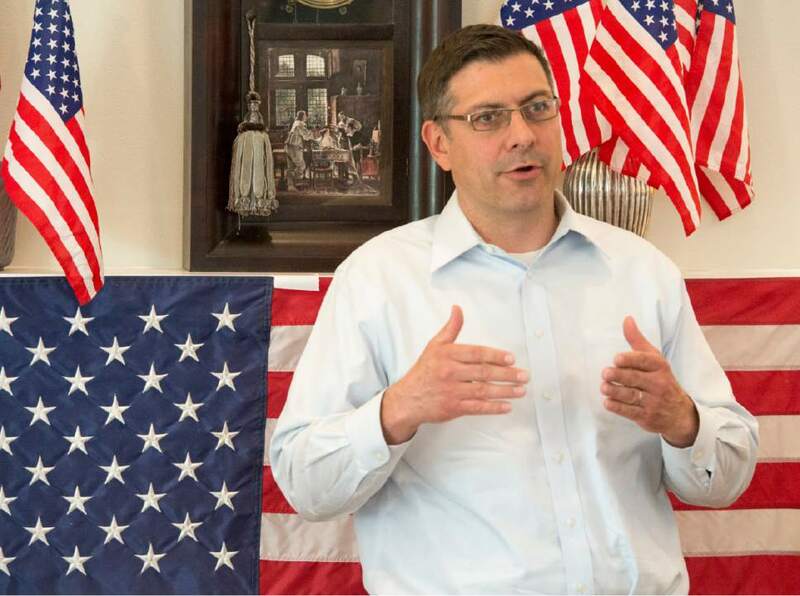 Rick Egan | The Salt Lake Tribune Third District candidate Stewart Peay speaks to delegates at a campaign event in Cedar Hills, Wednesday, June 7, 2017. Rick Egan | The Salt Lake Tribune Misha Peay, wife of 3rd District candidate Stewart Peay, says a few words during a campaign event in Cedar Hills, Wednesday, June 7, 2017. Rick Egan | The Salt Lake Tribune Third District candidate Stewart Peay speaks to delegates at a campaign event in Cedar Hills, Wednesday, June 7, 2017. 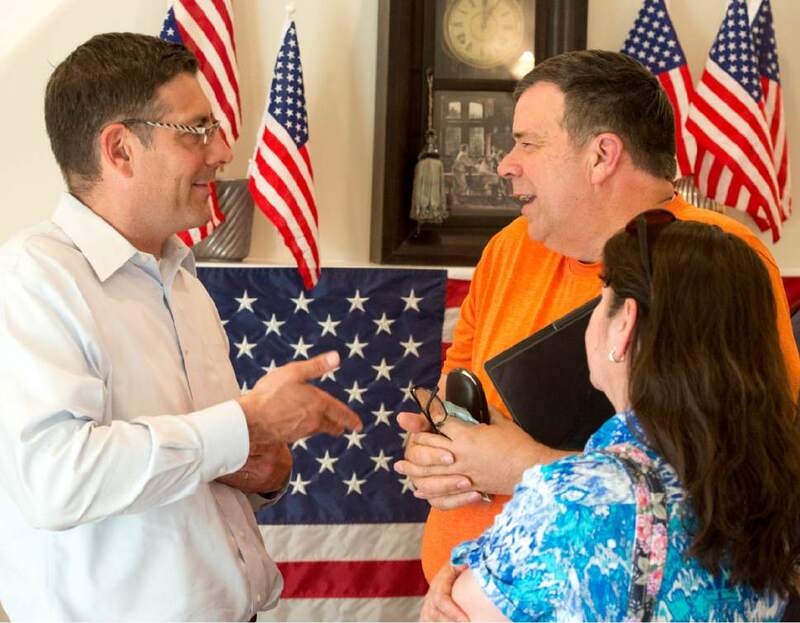 Rick Egan | The Salt Lake Tribune Third District candidate Stewart Peay visits with Thaddeus and Martha Speed after a campaign event in Cedar Hills, Wednesday, June 7, 2017. Rick Egan | The Salt Lake Tribune Third District candidate Stewart Peay speaks to delegates at a campaign event in Cedar Hills, Wednesday, June 7, 2017. Rick Egan | The Salt Lake Tribune Third District candidate Stewart Peay speaks to delegates at a campaign event in Cedar Hills, Wednesday, June 7, 2017. 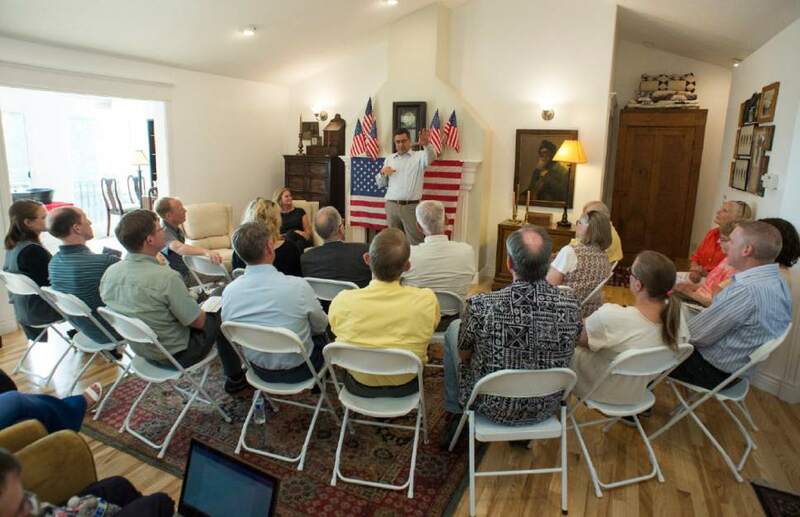 Rick Egan | The Salt Lake Tribune Third District candidate Stewart Peay speaks to delegates at a campaign event in Cedar Hills, Wednesday, June 7, 2017. 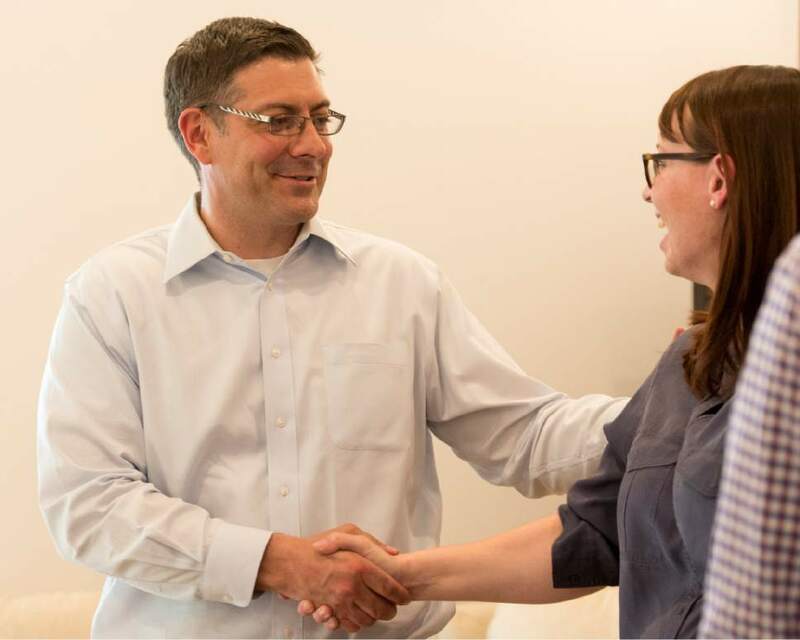 Rick Egan | The Salt Lake Tribune Third District candidate Stewart Peay visits with Emily Manwaring after a campaign event in Cedar Hills, Wednesday, June 7, 2017. 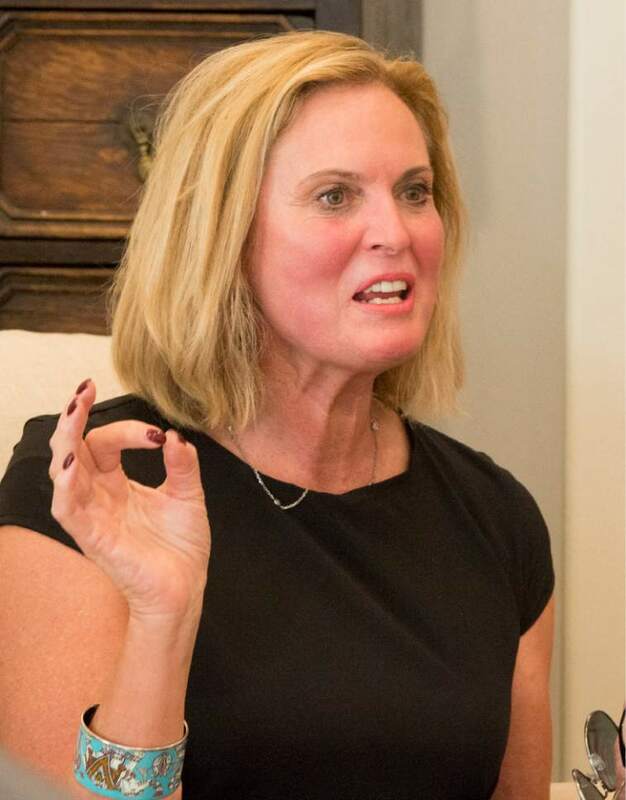 Cedar Hills • A little-known candidate hoping to stand out in the crowded race to replace outgoing Rep. Jason Chaffetz has called on a family friend with a name likely to please Utah Republicans: Ann Romney. 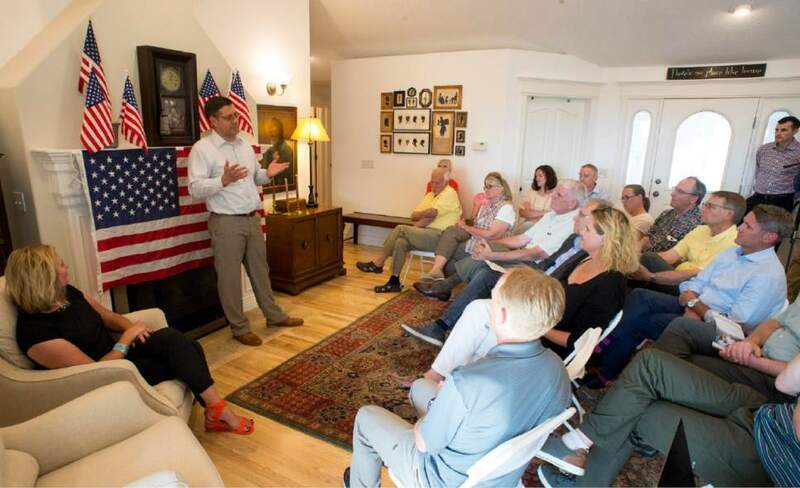 At a delegate meet and greet Tuesday night, Romney, wife of former GOP presidential candidate Mitt Romney, introduced Republican Stewart Peay, a Salt Lake City lawyer, Utah National Guard veteran and newcomer to politics. "He&apos;s special. He&apos;s extraordinarily bright and capable. And I love him," Ann Romney said. "We just need people like Stewart running all the time, everywhere. As we know, our country is in great need of good leadership and strong values." Ann Romney, an aunt of Peay&apos;s wife, Misha, sat next to the candidate for most of the 75 minutes he spent addressing questions from about 25 delegates for the 3rd Congressional District; Ann Romney also has donated the maximum amount, $2,700, to his campaign. Her appearance was an enticement for some Republicans to attend Peay&apos;s meeting. Emily Manwaring, a delegate from Provo, said she&apos;s still in the "research phase" of looking into each of the 15 Republican candidates and hasn&apos;t decided on whom she will vote for at the June 17 convention. Though Manwaring didn&apos;t know much about Peay before Tuesday&apos;s event, she said Ann Romney was "a little bit of a temptation" and a "nice bonus." "Who doesn&apos;t love Ann?" she said with a grin. During the meeting, Manwaring asked Peay  as several others did  how he differs from the other candidates when all of the conservative platforms seem like "everybody&apos;s copy-and-pasted each other." Peay talked about his time serving as a captain in the Iraq war and his work as an attorney (which has included participating in the investigation of former Utah Attorney General John Swallow) as examples of his ability to work in "adversarial, tough situations." Filling rows of folding chairs, the delegates quizzed Peay on his policy positions ranging from public lands to health care to the Constitution. His answers fell largely along party lines. "I think I&apos;d consider myself conservative on just about everything," he said in front of a backdrop of seven American flags. 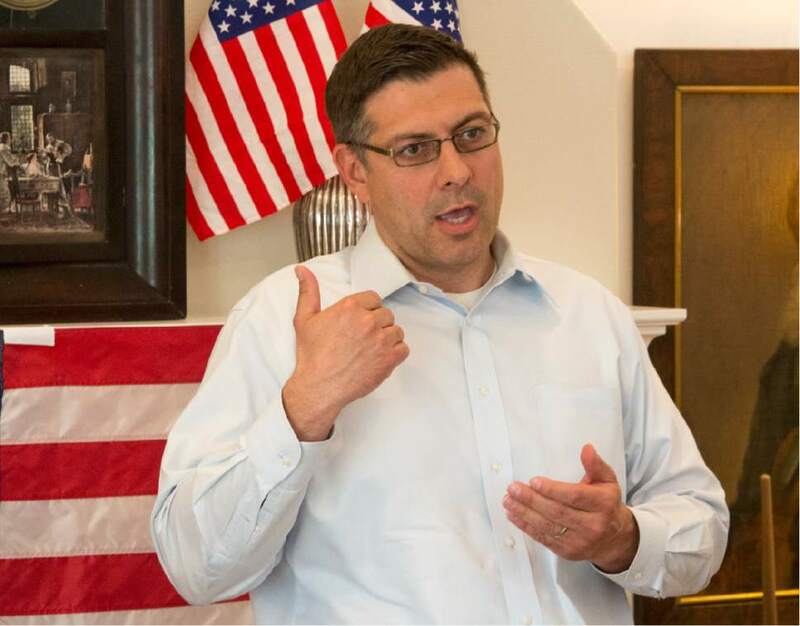 If elected, Peay promised that his first priority would be to draft legislation to exempt Utah from the Antiquities Act. He criticized former President Barack Obama&apos;s designation of Bears Ears National Monument, as Utah&apos;s all-Republican delegation has done. Jordan Guinn, who said this is probably the 10th delegate event she&apos;s attended since the special election kicked off about a week ago, asked Peay how he aligns with President Donald Trump. "I don&apos;t think you have to be all in or all out," Peay responded. He then pointed to the appointments of Supreme Court Justice Neil Gorsuch and Defense Secretary James Mattis as "good" decisions by Trump and the airstrikes on Syria as "brilliant." Though he didn&apos;t offer specifics on less favorable moves by the president, he said there have been "some growing pains that I haven&apos;t been proud of." Having cited a desire to spend more time with his family, Chaffetz is set to depart June 30. One member in the audience asked Misha Peay how she would deal with her husband being away in Washington. Through tears, she responded that she&apos;d been through it before when he was deployed. "He used to call me from Iraq, and he would say, &apos;If I didn&apos;t have so much to miss at home, it wouldn&apos;t be so hard and I wouldn&apos;t have so much to fight for,&apos;" she said. The couple have four kids, proudly saying they are the seventh generation of the family to live in Utah County. Peay spent a large portion of time talking about his views on foreign policy  a platform he largely developed while abroad with the military and during his Mormon mission to Russia. Those experiences, he said, allowed him to develop "a different skill set than just about anyone else in this race." "I&apos;ve tested my mettle under very difficult situations," Peay said. "I walked around in sand for a year with a flag on my shoulder." It&apos;s vital, he said, to develop a strategy to win the war on terror in the Middle East, as well as to "act tough" with Russia. Peay also championed states&apos; rights, the repeal of Obamacare and stringent background checks for refugees. Ann Romney nodded and smiled during most of his statements. Before she left, she applauded "how informed" the audience was. "This is fantastic," she said. 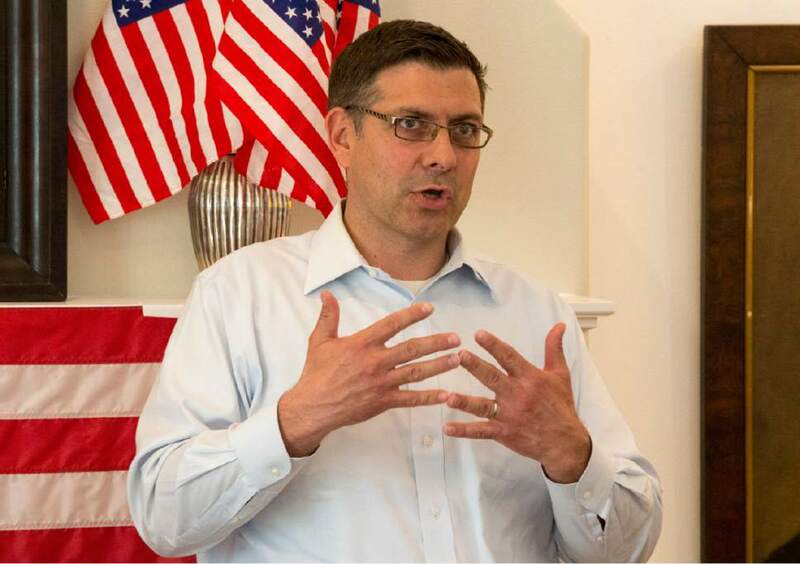 At the close of filing, 21 candidates had entered the race for Chaffetz&apos;s seat. Though he acknowledged his limited experience in politics, Peay said he jumped into the running because he felt compelled to stop complaining and start acting. "Instead of sitting on my couch and calling various members of Congress morons, I decided to do something about it."